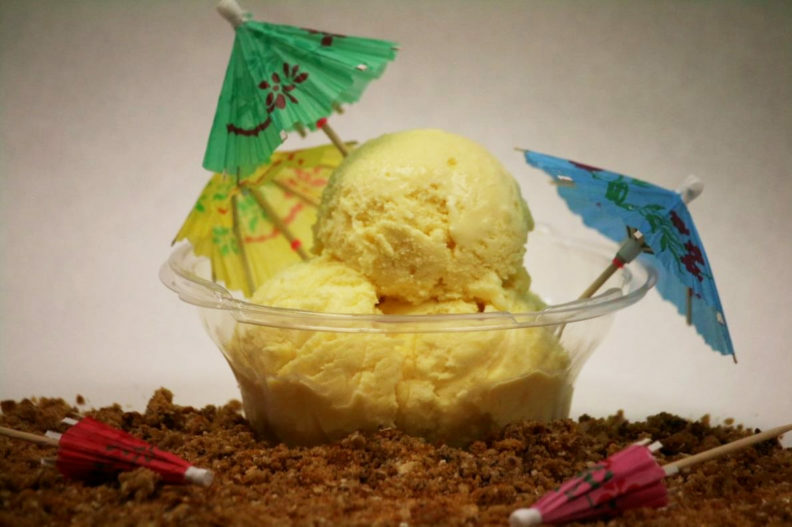 One of the most popular ice cream flavors produced at the WSU Creamery during the 1960s and ’70s is returning to Ferdinand’s for a limited time. Tropical Dream, a creamy mix of sweet coconut and tangy pineapple, has been reintroduced for Homecoming Weekend, which typically draws a lot of alumni back to the Pullman campus. The flavor was a mid‑century Ferdinand’s classic before being discontinued along with the rest of its rotating line of flavors. Now, it’s back for a limited time. 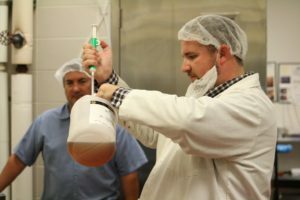 Ferdinand’s Assistant Manager Dave Soler said the creamery had received a high number of requests from alumni for an encore batch. Soler said the creamery had to contact previous Ferdinand’s manager Marc Bates to make sure the original recipe was being recreated correctly. The flavor originally carried a different name but was rebranded to Tropical Dream for the reintroduction. This is Ferdinand’s first foray into resurrecting a classic flavor that’s no longer part of the regular menu. Special seasonal flavors like Pumpkin and Peppermint are offered each year for a limited time, but this was the first time the creamery had taken on a reintroduction project. Ferdinand’s is generally open 9:30 a.m. to 4:30 p.m. Monday through Friday. This Saturday, the creamery will be open from 11 a.m. to 3 p.m. for football fans. Ferdinand’s is located in the Food Quality Building on the Washington State University Campus, two blocks east of the New Biotech/Life Sciences building. It is across from the Indoor Practice Facility at 2035 NE Ferdinand’s Lane, Pullman, WA 99164.